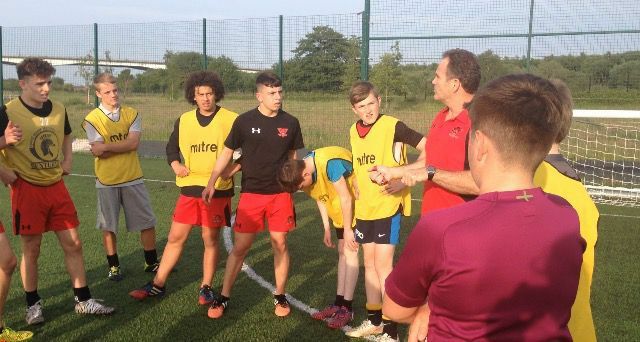 Tuesday 16th saw Langworthy reds under 15's invited down to train with the current Salford Red Devils Under 15s scholarship squad down at the AJ bell stadium. The opportunity was put in place for local amateur teams around this age to experience and benefit from training in a professional environment. 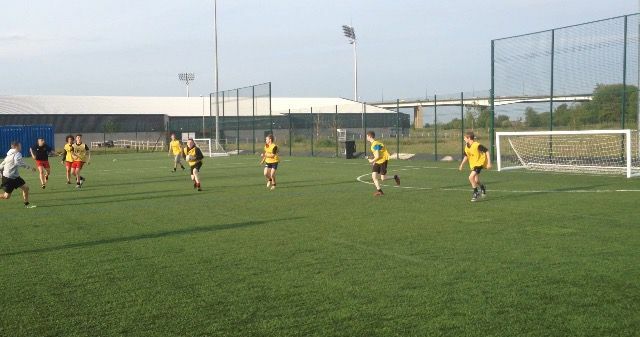 It also gives local amateur coaches a chance to learn and pick up any new ideas that might work for there team. The training session was a huge success and greatly enjoyed by all participants and staff. Danny Barton " Langworthy under 15's were a superb bunch of lads and came with the right attitude,the numbers in there team are great and that's a credit to the club and coach Bobby Ricci. I hope they took something away from the experience "